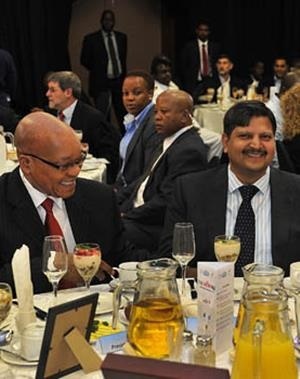 WE HAVE to hand it to the Gupta brothers. Everything that has been revealed thus far – even though much of it still has to be tested in a court of law – demonstrates the apparent level of preparation and planning that went into their state capture project. OK, we call it state capture, but they might have another name for it. They knew what they were out to achieve in South Africa, no question, but I doubt they would have called it state capture. Perhaps there’s a fancier name for it in Hindi, their native tongue? In any case, I do not believe that what they have been doing in South Africa just grew organically, with no plan. Their stratagem, as revealed thus far, reminds me of a friend I used to have, now deceased, who used to know a lot more about people and things in South Africa than the average Joe in the street. Trained in intelligence work in the former Soviet Union, this friend had returned home like all her other comrades in the early 1990s to practise her craft. She had returned to serve the new order; not to act against it. She was a deeply intriguing figure and made it her business to know everything about every person and institution that mattered in the functioning of our country. To this end, she had access to a flow chart that showed how big money moved in the country; who moved it around and who benefited from such movements. It also showed who had real money; who had massive influence but not real money; and who appeared to have money but didn’t, and were proxies for others who owned the money or wielded the political clout to influence the directions in which it flowed. The chart was updated on a monthly basis. My friend had no political ambitions at all; she valued the intelligence and the art of connecting the dots. From time to time, acting on behalf of powerful individuals, my friend would make calls that would result in someone making payments to so and so on behalf of some powerful people. I was devastated when she suddenly died of a mysterious illness, several years ago. With her untimely death, I was robbed of a well of knowledge that has proven almost impossible to replace. I was reminiscing about some of the things my late friend used to say when it struck me that the Guptas must have sought and found someone like her, a professionally trained and politically connected merchant of knowledge, before developing and activating their master plan. Given that they came from another country and would not have arrived armed with intimate knowledge of how things worked in South Africa, they knew they would need access to specialised skills to develop and carry out their plan; a plan we shall keep referring to as ‘state capture’ until whatever code name they might have been using is leaked. To develop their plan, the Guptas would have accessed some form of blueprint of South Africa’s public institutions (something akin to my late friend’s flow chart), the purpose they were meant to serve, the budgets allocated to them, their governance structures and how these were put in place. They would also have familiarised themselves with key players in the ruling party and its many structures, the cadre deployment mechanism, etc. All of this might seem far-fetched to the average Joe in the street – but it is not. My friend used to speak in these terms. So, the Guptas would need to study individuals, understand their strengths and weaknesses, chart their possible political trajectory, and integrate an effective stakeholder engagement mechanism aimed at them. One simply needs to look at the success with which the final plan was deployed over time to appreciate the level of thinking that would have gone into it. As things stand, there doesn’t seem to be a single state organ, save our judiciary, that has been spared infiltration. Going by all information leaked thus far, they successfully planted enablers in most boards of key state-owned entities; influenced the removal of people who proved hard to manipulate and their replacement with more pliable enablers; and found their way into the Department of Home Affairs for the processing of visa and citizenship applications for themselves and people they brought into the country to provide a whole basket of specialised skills. It also seems safe to assume that many of these enablers continue to be active in their positions; how else does one explain the strange behaviour of the Eskom board, despite the ongoing media and public spotlight on its shenanigans? The Gupta master plan has been truly holistic. Besides it being common cause that our state president and some members of his family are at the centre of it, leaks have also shown that the plan involved the recommendation and, possibly, appointment of Cabinet ministers into key portfolios to ensure both policy influence and political protection for the enablers planted in the boards and executive management of key state-owned entities. In cases where politically influential people were already in place, the Guptas got to use the knowledge they would have gathered of their strengths and weaknesses to influence them by means of all forms of sweeteners. Some had expensive motor vehicles and homes bought for them, or easy loans arranged on their behalf to facilitate such purchases; others enjoyed expensive overseas holidays they did not have to pay for; and huge amounts would also have changed hands, possibly deposited into overseas bank accounts yet to be discovered, to buy and secure influence. It didn’t take long for the captured individuals to deliver on their mandates to the Guptas, against our country’s developmental interests. Now, with all of this happening, and with billions of rands having been taken out of the public purse in clear contravention of the Public Finance Management Act to benefit Gupta businesses, there should be no room for people who use perceived racism or misplaced references to white collar crimes said to have been committed during apartheid to defend this alleged grand criminal theft. State capture is real; it is harmful for South Africa’s nation building project and should be investigated as recommended in previous Public Protector Advocate Thuli Madonsela’s State of Capture report. It is madness to expect people who are seriously implicated in it to determine the terms upon which any investigation of it should happen. It’s unrealistic to expect corporate South Africa to invest in the economy when there is so much political and policy uncertainty. And if capture enablers remain in their positions, growing calls for a tax revolt will become a reality as more taxpayers lose the will to contribute hard-earned money to a government run by suspected thieves.